Eco friendly gifts Mini Notepad recycled products green gift notepads suppliers. Branding is available on this little lovely notebook, as well as the eco-friendly pen. 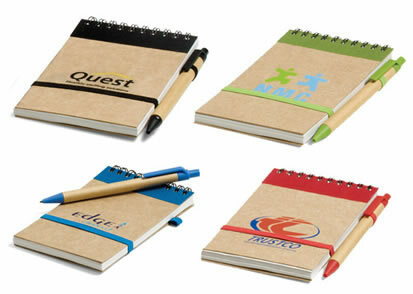 The Eco Mini Notepad can be branded with a print on the notepad and pen or with a silver or gold foiling on the notepad.